Not everyone is a Sales & Marketing guru, especially in the digital world. When you need a steady hand to navigate through the bits and bytes, you can rely on us. Digital Media Training for business by Hiperformance enables you to successfully use information technology and social media. Learn how to market your business through social media, send bulk e-mails, create e-zines and blogs. Learn to use google adwords to promote your business and use google analytics to monitor your website performance. This hands-on practical training course is aimed directly at your staff in the front line. HiPerformance Training will build a training program to suit your business needs and deliver the training program in your work environment (office or home). Creating an engaging website that speaks the language of your target market and then illustrates it with appropriate imagery and an intuitive layout is critical in the success of your website. All the websites we create have fresh layouts, modern fonts, eye-catching image with engaging content that converts your visitors into customers. We identify the site’s aims and target audience and that’s only the start, the design will capture your personality of your company and brand. The way we look at web design is similar that someone with a retail shop front would and should constantly change their window display, feel and flow. Your new site will create the right perception, adding value to your brand and delivering a delightful visitor experience for your customers. 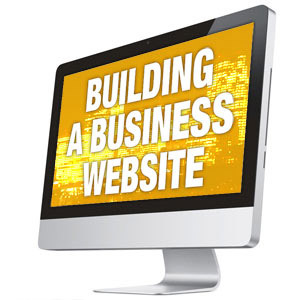 We offer bespoke website design packages to suit you and your business. We create user-friendly websites that you can easily and quickly update yourself. Once your site is launched we continue to provide friendly on-going support, upgrades and plugin installations meaning that your website can grow and develop as your business does. Online Marketing Landing Pages - Design and build a landing page for online marketing campaigns with SEO capability. Online marketing, also known as internet or web marketing is the process of marketing and advertising products or services over the internet to generate a response from your target audience. We deliver combined online marketing strategies through internet and social media using Websites, Emails, Google, Facebook pages, Online directories, Linkedin, Twitter, Youtube ane online & offfline advertising,ect. We are experts in Pay Per Click (PPC), Facebook campaigns, Youtube business marketing, Data base building, Search Engine Optimisation (SEO), email marketing and banner campaigns.Online marketing is much more effective than traditional off-line marketing such as newspaper ads and billboards because exposure and response are much easier to track. By analysing your data with web analytics, you can see how your campaigns are affecting visits to your website, overall sales, return on investment (ROI) and other important factors like keywords. Another advantage to marketing your products or services online is the ability to use permission marketing. This basically targets your campaign to people who actually want to see it instead of showing it to everyone and anyone, which in turn wastes money on pointless clicks and impressions. Whatever your business requires, we can provide specific strategies tailored to your organisational needs to effectively respond to your target market, generate targeted online traffic, position your content, and create overall brand awareness to enhance your company's online presence and influence your sales. PPC / Google Adwords - Adwords Campaigns is the quickest way to get onto page one of Google and whats good is that you only pay google for each time people click on your ad, setting up Adwords Campaigns involves keyword research and designing your ads. Please call to find out what this will involve for your type of business. Online Lookup Package – Designs a uniform company profile and registers to social media and online business directories / advertising sites. 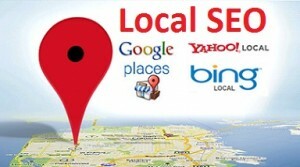 Be Found Online Package – Build a Google business page, Facebook page, Twitter page & designs a uniform company profile and register to social media and online business directories / advertising sites. Pay per Click (PPC) is a form of online advertising aimed at specific keyword phrases to generate targeted traffic to your website. PPC works by driving traffic to your website through an online advertisement placed in the "sponsored links" sections at the top and right-hand column of every page in the search engine results. 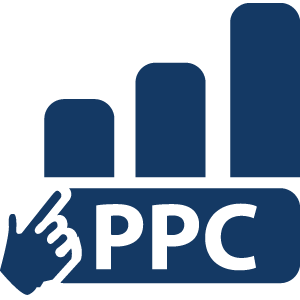 HiPerformance specialises in Google AdWords which is a form of PPC advertising offered by Google. These links are paid for using a Cost per Click (CPC) bid system whereby you only pay when somebody clicks on your advert. The amount you bid on your chosen keyword phrase determines how much exposure your ad will get and where it ranks in the results, so the more you bid, the more your ad will be shown and the higher it will be in the "sponsored links" section. 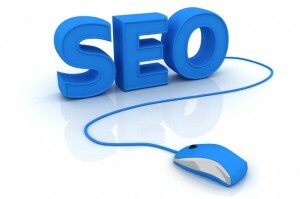 Bid prices can vary between different keyword phrases depending on the competition. If your chosen keyword has low competition, meaning it doesn't get a high number of global monthly searches, it will be a lower bid whereas if it has high competition, meaning it gets a lot of global monthly searches, it will have a higher bid price. The overall goal of PPC is to analyse and discover the best, most efficient keyword phrases that bring return on investment (ROI) for your business. Before starting any work on your Google AdWords campaign, we will first discuss and identify what keyword phrases you want to be targeting in your adverts. After we've got a sufficient amount of data, we set up your Pay Per Click AdWords campaign and enter your keyword phrases as AdGroups. Once these are set up we write two similar adverts for each AdGroup with slightly different text to find the best combination of keywords, content and call to action to use in each ad. After your AdWords campaign is live and running, it needs regular maintenance. We take care of this by constantly monitoring and tweaking your ads to make sure they are the best they can be to ensure good conversion rates and ultimately drive down the Cost per Click (CPC) to save you money. Setting up your campaign with relevant keywords and compelling adverts is all well and good but how do you know which keywords are bringing you the most traffic? 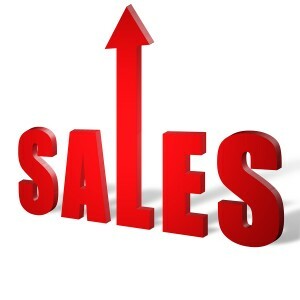 Which adverts are converting your leads into sales? Which keywords is a waste of money? To answer these important questions HiPerformance Google AdWords specialist will utilise the power of Google Analytics to track your campaign's performance and conversions. This ensures that all the correct amendments are made to fine tune the campaign and make it perform at its best. Social Media Marketing (SMM) is a form of online marketing targeted to social media networks, like Facebook, Twitter, LinkedIn and YouTube, to establish a business’ brand and promote products they sell or services they provide. Kudos Web Design will discuss what you want to get out of your business through SMM and what you want to achieve to create a bespoke, tailor-made package which aims to create new leads for your business, keep you at the heart of new technological advances and keep you in touch with the people who are talking about your brand name. Once your website is exposed to a social media marketing campaign, it is only a matter of time before your brand becomes viral as users, who can identify with your message, start to talk about your brand on social media websites, thus spreading your message further and gaining a larger customer base. The great thing about social media is just that, it’s social. It gives anyone and everyone the ability to participate in something that your company has become involved in. For example, say you have posted a video about one of your products or services on YouTube. Anyone is then free to comment on it, like or dislike it, add it to their favourites, share it via email or other social media websites such as Facebook and Twitter. By engaging with your customers and keeping them up to date, you are creating a face to the brand name and making your business interactions more personal. This builds rapport with your customers which in turn creates return visits, recommendations, back-links and increased online presence. Does your brand have its own voice, look and feel? Portraying this to a listening world through Social Media is essential. HiPerformance provide regular newsfeed updates, blog posting and content distribution. We also work with brands to protect them from damaging social content, and advice on the best ways of dealing with such situations. HiPerformance work with customers to build campaigns on Facebook, Twitter and other social networking sites that deliver outstanding results. Our clients represent some of the leading consumer brands, high street retailers and online merchants. They are focused on return on investment, and rely on us to deliver exceptional results. 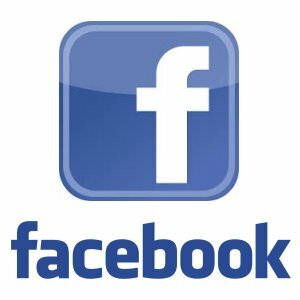 We can set up tailor-made Facebook Marketplace Campaigns – Whether your goal is to secure new Facebook Fans, sell products on your website or drive customers to your retail units, we can tailor a campaign to suit your requirements. The most cost effective way to deliver return on investment for your businesses. Weekly reporting and constant support is provided across all campaigns. Search Engine Optimisation (SEO) is the practice of improving a website's visibility in the search engines by optimising its pages, content and HTML to improve relevance relating to specific keywords and phrases and make it more accessible to search engine spider bots. HiPerformance Cork operate an ethical search engine optimisation service and follow strict search engine guidelines and adopt industry best practice at all times when laying down optimisation procedures for web sites. Our SEO portfolio have grown in both numbers and experience over the past couple of years and we continually strive to achieve top results for our clients. By letting our SEO consultants optimise your website and making it accessible for search engines, you are making it easy for crawler bots to spider your website and add it to their rich library of pages. One part of SEO is using keyword phrases and high quality content to tell search engines that your website is relevant and worth ranking highly in the search results. As your website climbs higher in the search engine results due to SEO, you will get more exposure for your targeted keywords and phrases and in turn get more web traffic from people who want to visit your website after searching for products you sell or services you provide. As an established SEO agency, we are able to provide results, monitoring and analysis of your traffic to further improve your website. As Google, Yahoo!, Bing and other search engines index your website and find relevant content and information to list in their database, your rankings in their search results will naturally climb and get your most exposure and visibility. As your website gets more exposure in the search engines and your natural ranking increases, your brand will become more visible as your pages rank higher in the search results therefore showcasing your brand to a wider audience. Whatever you need for your business, our video production team can create and produce high quality corporate films, promotional videos or animated features. We offer a wide variety of services to cater to all of your needs including website commercials, training videos. Our team are fully trained in video production and come from a background of producing business and sports analysis videos with a full range of skills to provide you with the content you need. We work closely with you and your business to ensure your vision and message is maintained throughout the creative and video production process. We will work with you from concept to delivery to ensure that the right direction is taken and you are happy with the work being carried out. Video is the single fastest growing segment of the internet, over half of all web traffic is now video. 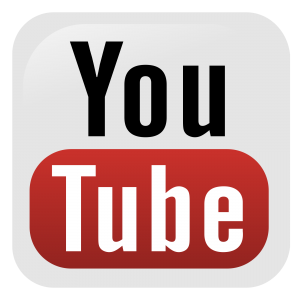 1.billion users visit youtube a month. People are vastly preferring video to traditional text online and many organisations, from large to small are developing video marketing content in that space. The benefits are tangible; companies are seeing direct sales and benefits from video marketing. Here are three great reasons why any business should really approach the idea of using video as part of their marketing strategy. Show your product or service. Video speaks directly to most customers and by producing short 2-5 minute videos of the specific benefits and skills of your company to them, it makes much more of an impact and connection than just seeing an ad online. This especially helps if you have an interesting or novel product. Show ‘how to’ videos or customers using the product in action, and potential buyers will immediately be able to see how your product will help them. Video helps build a brand. Online marketing is huge now and estimates are it will only continue to grow in the future. Being able to produce quality content quickly that is interesting to potential viewers is really important. When video content is used online, it allows a perfect opportunity for it to be shared over a variety of platforms. A marketing video campaign does not have to sit on your company’s YouTube channel; it can be shared on Facebook, Twitter, Stumble Upon and more. This leads to increased views and potentially, increased revenues. Video can reach a much broader audience in a much more cost-efficient way. For many businesses the marketing budget is not that large and the thought of being able to reach hundreds of thousands, or even millions of potential customers all over the world is something they never would have dreamed of because it would just cost simply too much money. But, with a few quality videos, this is completely possible and quite likely to occur. These videos provide a great value, and can easily and quickly reach a tonne of potential customers. Every business owner should be moving more and more into using technology as a marketing tool. More customers can be reached than ever, and the costs are not something that would keep even the smallest businesses out of the game. 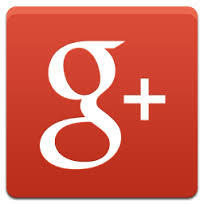 The playing field has certainly evened out when it comes to technology for marketing, especially in using social media. Videos are the wave of the future. If a picture says 1000 words, a video tells the whole story. Actually it is better than a story. YouTube is now the 2nd largest search engine on the Web. Why? Because people like to find video answers to their questions, as opposed to searching pages and pages of text. So, all you need is 30-45 seconds and good images and you’ve just engaged your audience. Videos that are placed on a web page encourages traffickers to stay and watch. Therefore helping with SEO by building a good score on the search engines, over time, which is vital to reduce the bounce rate and increase the time spent. Too few organizations use video effectively as a promotional tactic, and most don’t even think of video at all, except for YouTube. Video has the twin advantages of being highly viral and extremely mobile (think iPods). Any PR practitioner who fails to include video as a tactic is unnecessarily limiting the promotional campaign’s ultimate success. The same study showed that only TWENTY percent of web visitors will sit and read the majority of the text on a website, but EIGHTY percent will sit and watch the same content when presented in the form of a video. 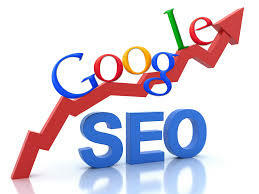 A company web site is also FIFTY times more likely to be ranked on the front page of Google if it contains video. Online video is becoming a must for any business with a serious online presence. According to an estimate, by 2012 if a website doesn’t contain video content it won’t feature on Google’s first page of search results. Video is an incredibly powerful medium that can engage the viewer in a far more memorable and effective way than text or images alone. As pointed out by Franklyn, statistics back up the fact that users will spend longer on pages that contain online video versus those that don’t. It works better than most other forms of social media, both in terms of Google ranking, time to front page of Google, audience size (real audience as opposed to Facebook friends! ), and actions taken as a result of the video. Video works best where it provides the creative glue that knits campaigns together, for example when you can get a video on Youtube and then post it into Facebook and get others to use it as well and then it gets tweeted about and is circulated onto other sites. Video marketing is extremely efficient, but it sounds clichéd to say that what matters is the content. By this, I mean that given the new age, videos need to be quick and to the point; there needs to be an effective catch phrase to receive immediate attention. Statistically, the videos that are effective to the new generation are videos with fast, moving, and short clips. This is seen with effective TV ads, and more importantly, movies, ie., action, comedy, etc. These involve quick shots. The preoccupation with YouTube has led practitioners to overlook other video-sharing sites such as Vimeo, Veoh, DailyMotion, YahooVideo, Revver, VideoJug, Break, LiveVideo and even Flickr. Few bother to submit their content to the video search engines, such as Flurl, Veoh, Truveo, Blinkx, fooooo (//en.foooo.com), Pixsy, Clipblast, Metacafe and VideoSurf—or think to purchase ad placements in their results. Seeing is believing. Marketing with videos, video emails, and teleconferencing is on the increase. 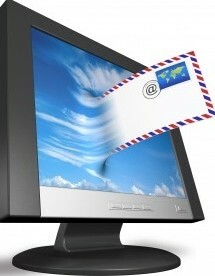 Marketing your product, service or self with emails are only viewed 20% of the time. A video email is opened 75% of the time and viewed 85% to completion depending on the content and the quality of video. People remember pictures and images long after they have viewed the content. It’s like a good book, the words produce a story, the story produces an image. The video tells the story in a shorter time frame. Say you are grandparent and your grandchild is having a birthday party, would you rather read about his birthday party or see it in a video? Better than video emails, how about video conferencing? How about seeing it live and hearing what is going on? These tools are readily available, so why not make use of them?